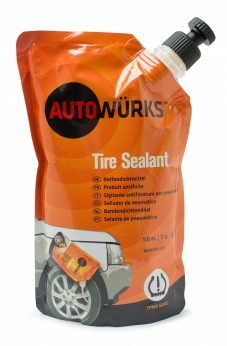 Autowürks Tire Repair Kit (AW-TRK500), 500mL (17 oz.) refill. All Autowürks Tire Repair Kits include our patented OEM tire sealant ensuring the highest quality and reliability. This sealant is only suitable for “valve out” applications.